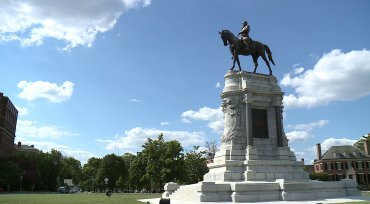 RICHMOND, Va. — Richmond City Councilman Michael Jones said he put in a request for a resolution to remove the Confederate statues along Monument Avenue on Wednesday. Jones said his resolution will be introduced at City Council’s next meeting on September 11. Jones said he put in the request after Mayor Levar Stoney asked the Monument Avenue Commission he created to consider removal or relocation of the Confederate statues along Monument Avenue.